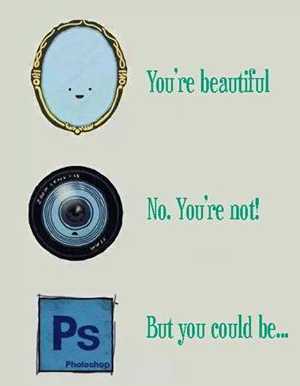 PhotoShop – What makes you beautiful? Glanced at this photo on a photography group this morning, smiled and started to scroll away. Then paused with the thought I barely know PhotoShop and I’ve shot weddings, families, HS seniors, babies, and models. This though was a realization that the thought is PS = perfection and you need to be ‘fixed’ to be beautiful. The reality is that is why you want an experienced photographer. Through posing, direction, lighting, clothing choices, emotion and experience, a good photographer can bring out your beauty/perfection right through the lens. My camera doesn’t make you look good or cry when you see the final image, my experience and passion do. So Photoshop, you ain’t got anything on me. My final images are always edited by me, typically through a different Adobe program that brings out light, removes blemishes and lets me change a crop. I’ve done the work to bring out your best. It’s not a program, it’s not my camera, it’s you and me interacting or witnessing your moments.